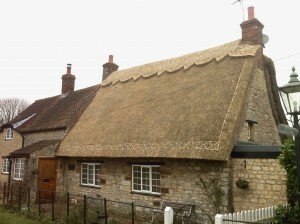 Here at Heart of England Master Thatchers, we offer thatched roof insurance surveys. When you own a thatched property an examination such as these insurance surveys differ from a regular house survey and this is because of the complications and risk factors of having a thatched roof. Our thatched roof insurance surveys are in a simple bullet point survey format covering everything that insurance companies require, including information such as how long the property has had a thatched roof etc. Loft access is needed to check the condition of timbers and smoke alarms; this is to make your house safer. Thatched Cottage Insurance Surveys also provide new owners with an idea of when they will need to re-thatch and the history of when moss removals and re-ridges were done. Thatched roof insurance surveys are carried out to get a detailed inspection of the condition of a thatched property. It will let you know whether there are any structural problems with the building or roof, whether any major repairs are needed, and it will give you an expert opinion on the property. The cost of rebuilding if anything did go wrong is the main part that will bump up your premium. Many thatch insurance companies will ask their customers to have a thatched roof insurance survey carried out on their property before any cover is selected, and here at Heart of England Master Thatchers, we provide insurance surveys for thatched roof properties. We insist that when you are looking for thatch insurance that you look around for the best price! Different insurance companies will have various offers but going to a company that specialises in thatched-roof properties will have a better understanding of what cover you need. Getting a thatch property examination is also great even if you already have insurance, as it will let you know whether you have the correct thatch insurance. Why are Thatched Roof Insurance Surveys needed? Thatched Roof Insurance Surveys are needed and highly important because thatched roofs are excellent at repelling water which is why if a fire does occur it’s a tough job to put it out. The most common cause of thatched roof fires is down to faulty chimneys or the heat transfer from old chimneys. We suggest regularly inspecting your chimney for any damage especially just before the cold, winter months. Having a normal thatched roof will not cause a fire abruptly; however, a thatched roof with an old chimney will increase the risk of a fire. What safety precautions are currently in place? When was the property last inspected, re-thatched and repaired? Who thatched the roof? – Was it a trusted company? Have there been any alterations made to the house such as extension? What material has been used for the thatch? When was the chimney swept and checked? Does the chimney have sufficient lining? Are there any fire risks in the house such as wood burners? If there are trees near the property, how long ago were they checked? When were the electrics checked? These thatched property surveys are also highly recommended for properties that are for sale as they answer many questions that potential thatch owners or property sellers often ask. Remember a general surveyor will not have thatching experience. Therefore any advice or opinion can be wrong or misleading. 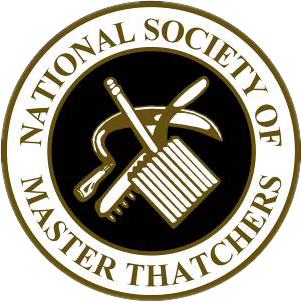 Contact Heart of England Master Thatchers if you’d like an insurance survey on your thatched property or if you’d like any advice on thatched roofs. Do not be put off having a thatched roof! They are unique, they hold their value, and they make your property cool in the summer yet warm in the winter.